Hope belongs to the left. Hope is in trouble today, and not only because Trump is in the White House. In fact, this has been true for some time now. “Not even close” is what Shepard Fairey, the designer of the 2008 “Hope” portrait, answered when asked whether Barack Obama had lived up to the expectations stirred by that iconic poster. Although Michelle Obama recently insisted that “Barack didn’t just talk about hope” as “a nice slogan to get votes,” by now many of those swept up in the 2008 campaign might be excused for thinking exactly this. In retrospect, Obama’s hope was hard to pin down, abstract, and gauzy. And at its most specific—searching for common ground between the opposing parties—it could be positively naive. Or at other times “hope” talk might indeed be labeled as deceptive, particularly when we recall who Obama put in charge of the economy, or other “realistic” aspects of his domestic and foreign policy. The artist Fairey, for one, was particularly disillusioned by Obama’s reliance on drones and domestic spying. But in the age of Trump, it is important to resist the temptation to roll our eyes at the mention of “hope.” In avoiding any further talk of hope we risk depriving ourselves of one of the linchpins of the left. Even if it is frail, hope animates much of what we think and do. Despite frequent defeat and disillusionment, hope matters to us because the left is its natural home. After a debacle like 2016 we understandably call for getting right back to work, but doing so today without thinking about what has been happening to our hope is a bit like rounding up the usual suspects. 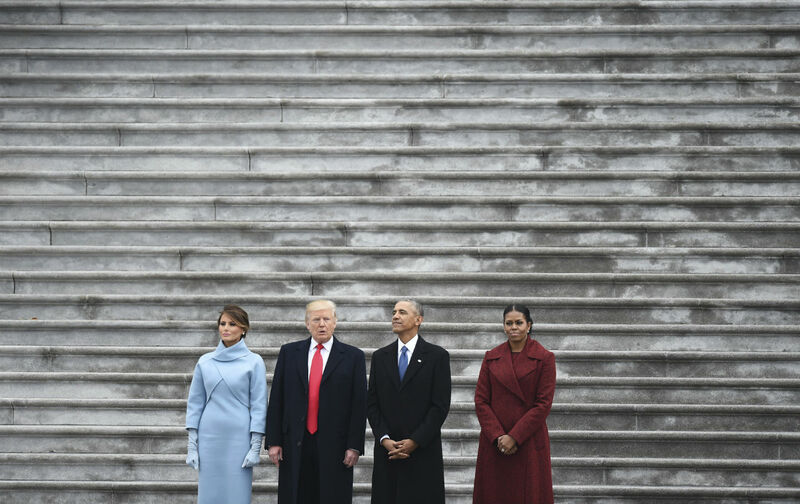 After Obama, after the Sanders campaign, in this time of Trump, we need to become clear on what hope is, how it takes place, and how it is especially connected to the left. In answering these questions we must untangle ourselves from the generation-long inflation of individual hope and the accompanying shrinking of social hope. This trend is bringing our world to the point where we all live in what sociologist Zygmunt Bauman calls the “individualized society”—where more and more people forget that they are social beings living interdependent lives. Just as Marxist philosopher Ernst Bloch followed the Stalinist tendency of his time by falsely claiming that all personal hopes were ultimately social, today the opposite has been happening in our era of what I call the privatization of hope. This article is adapted from We: Reviving Social Hope, to be published in April by University of Chicago Press. Some of the material appeared earlier as "The New Politics of Hope" in The Boston Review. In contrast to this trend, social hope entails searching collectively for public solutions to our public problems rather than pretending that everything is up to the solitary individual. Obama evoked social hope in 2008, with his movement-style reference to the United Farmworkers’ “Si Se Puede!” and by invoking the collective struggles of women, workers, and African Americans. Despite its vagueness, his “Yes We Can” implied at least two decisive social goals: that a relative outsider like Obama, supported by a movement of activists, had a real shot at winning the presidency; and that an African American could overcome the national history of slavery and racism and be elected to lead this country. In The Audacity of Hope Obama also insisted that hope entails acting, not waiting passively. From the left we might add that hope is not a faith in grand narratives about the world becoming better on its own or a misty-eyed feeling of optimism. It is not merely an attitude, or a mood, or a feeling—all of which emphasize its subjective side. It is rather a tough-minded and inspired disposition to act. To hope is uniquely to combine the subjective and the objective, collectively seeking to make change happen. Hope creates action, but it is equally true that action creates hope. It is the action of movements, rooted in people’s needs and longings, attempting to change the world in small ways and large. And indeed, people’s hopes have been at the heart of modern history, from rejecting the harshest and most brutal forms of oppression such as being others’ property to demanding democratic government, from rejecting inherited relationships of dominance and subservience to demanding equality, self-determination, and even a more secure existence. People have been picking up the baton set down by earlier generations and other movements, hoping to take it further. Colonial rule has largely met a fate similar to that of slavery, as is at this moment happening to patriarchy and homophobia—having been made, or still being made, unacceptable, immoral, illegal, obsolete. In hoping and acting on their hopes, movements have usually pointed to a specific future that they seek to make happen such as union recognition, nuclear disarmament, the end of apartheid, equal rights for African Americans, equality for women, ending the use of fossil fuels. These demands, and the broader goals of making society fairer, more humane, more equal, more democratic, have challenged dominant systems of power and those who benefit from them. I have said that hope is essential to the left, but the historical record also shows that the left is essential to hope. Something like this happened in the self-organization of the Montgomery bus boycott, starting in the early morning of December 5, 1955, when the buses rolled from black neighborhoods to the rest of the city completely empty. The community would gather together in the evening, in church, to listen to Martin Luther King Jr., but was just as powerfully present in the empty buses, in the knots of people walking to work and home, in the car-pool vehicles carrying people around the city. In such times, as historian Steve Golin says of Paterson, movements become “a way of life,” developing complex organizations, generating and drawing on new talents, creating new patterns of living, opening up new possibilities for ordinary people, inspiring—and needing—their ingenuity, sacrifice, and even heroism. Becoming members of a larger entity, we draw power from it, have a responsibility to it, and experience ourselves within it. This remarkable change in our being is accompanied by a no less remarkable change in our perception. By becoming collective actors opposing ourselves to other actors, we look for their weaknesses and resistances as well as our own strengths and the objective possibilities of change. The once fixed and frozen field before us becomes redefined as our practical one, and as we become its active agents our adversaries lose their apparent quality of givenness and unchangeability. The complex historical and social field now becomes a series of guides, helps, and obstacles. This change in how we see is also a change in what we see, as “the way things are” begins to appear as humanly created. Thus collective hope evokes a sense of potency and possibility. Fragile, it is always linked to what we are doing and how we are doing it. Change either—for example caving into the other side without democratic deliberation—and it can easily dissolve, or morph into mere rhetoric. As long as hope is alive it is neither an abstraction nor an entity, but a current that runs among us: an animating force bringing and keeping people together and inspiring them to keep going. Of course, on the negative side, those on the right also have their hopes, and they struggle fiercely to assert them. They have included fascist movements, the forces of segregation and apartheid as well as colonialism and religious fundamentalism, and organizations built around the defense of various kinds of privilege and inequality. But they do not believe, nor does their functioning reflect, that all people have equal worth. Nor, when they act collectively for a common cause, do they demonstrate a sense of wider human solidarity. Moreover, outside the left, democratic functioning is not generally expected as a norm of collective action, making authoritarianism especially frequent in movements of the right. On the right people do not come together to abolish special privileges, but to assert them. Yes, even a lynch mob has its own kind of hope. But it is fair to call it a twisted hope, its racism and violence expressing an antisocial hope. There is a kind of despair in the hope that excludes. How do these reflections on social hope illuminate the political upheavals of 2016 and our current situation? Certainly, Hillary Clinton embodied the hope of millions of women to break through the glass ceiling. No less than Obama’s election, hers would have been a major historical reversal. But it turns out that fervent hope for Hillary’s election was mostly confined to the “Pants Suit Nation” and small numbers actively worked to make it happen. Indeed, a slightly smaller percentage of women wound up voting for Hillary Clinton than voted for Obama in 2012. Women’s hopes did not become a significant active force in the 2016 election, and as it turned out Clinton had become clearly identified with the Democratic establishment and its goals and machinery. On the other hand, running against all establishments was the essence of Donald Trump’s campaign. It showed the unexpected power of an outsider insurgency to upend the political scene. In this sense, his election was a striking testimony to the hopeful “power of positive thinking,” drawn from his onetime mentor Norman Vincent Peale. After all, Trump did accomplish what “realists” had thought impossible by voicing the anger of his otherwise-ignored supporters as well as the wish to “shake things up.” But this was never the active, collective, solidaristic social hope I’ve been talking about, and it was connected to racism, bigotry, and misogyny, which his supporters actively supported or at least condoned. Whatever people might have experienced in supporting and voting for Trump, it was nothing like the forward-looking, active, collective hope of a left movement—but rather a cult of personality, focused on what he would do for us. If Trump’s campaign restored a kind of hope to members of the white working class, it had nothing to do with collectively building a better future, but turned on a sour mood of nostalgia infused with xenophobia. Moreover, his cabinet selections indicate that his actual practice of governing was not likely to shake up the establishment at all but turn power over to its most narrow and extreme wing, keen to implement its own agenda rather than responding to his working-class supporters. In all of these ways, Trump embodies what I would call anti-hope. In contrast, the Bernie Sanders campaign rekindled a vision of collective action that is of the essence of social hope; a we committed to expanding and deepening democracy. It created a sense of active community at its events, on the Internet, and on social media. It fueled a belief that things could change and that the movement itself would help to enact that change. Unlike Obama’s “hope” the Sanders campaign actually made demands that focused on upsetting relations of power and privilege, proposed specific changes to a system of inequality and poverty. These goals were called “unrealistic,” but the movement’s feeling for possibility was not: It raised financial support from millions of small donors, and it grew like wildfire as Bernie began to win primaries and give Hillary Clinton a run for her money. Though the Sanders campaign did not hinge explicitly on a slogan of hope, unlike Obama eight years earlier, it more concretely contained the stuff of social hope, becoming a movement built on sincerity, idealism, a rejection of cynicism, and a striking sense of possibility. Its many specific proposals contained a broad, even universal appeal: reducing inequality by demanding that the very rich pay a fair share of their income in taxes; a living wage; government-funded and universal health care; free college education; dismantling corporate-friendly free trade agreements; and a serious effort to protect the environment. Yes, Trump stirred hopes of millions of working-class voters, but this was not the social hope I’ve been describing but its distorting-mirror opposite. Like other anti-hope movements in the last century, it encouraged a regressive faith in the authoritarian strongman: If we can’t change things—more precisely if we can’t make things the way they used to be—maybe he can. The Bernie Sanders movement, in contrast, began to revive the kind of genuine social hope the Occupy movement had stimulated. And his age and white hair visibly symbolized his connection with a deeper past, reviving the very history of hope he evoked by calling himself a democratic socialist. In doing so, Sanders broke the great American political taboo against actively hoping for alternatives to the existing socio-economic system. Amazingly, he was welcomed rather than marginalized for doing so by a large portion of the electorate. In the course of a few months, the Sanders movement became the largest progressive force in national electoral politics in over 100 years. Now that Trump is president, an even larger movement is beginning to form, seeking to mobilize the power of resistance. It seems likely to organize on many levels and involve millions, around a single goal: to block Trump. Even if it is not a movement for a given program, in acting together people will once again feel their power, and possibly in a far wider collectivity than ever before in the history of this country. It will be primarily a defensive movement, but the experience will transform people who participate. Who knows where it will lead?